The floating dagger Macbeth sees before murdering Duncan symbolizes the throne itself: Macbeth sees it, yet cannot grasp it; when the dagger is grasped so is the throne. The grasping of both does not bring the desired happiness. Macbeth’s bloody hands symbolize his guilt for the murder of Duncan. His assertion that if he were to wash his hands in the sea, the seas would turn the color of his hands demonstrates his overwhelming guilt, a guilt Macbeth does not feel for the murders of Banquo and Macduff’s family. 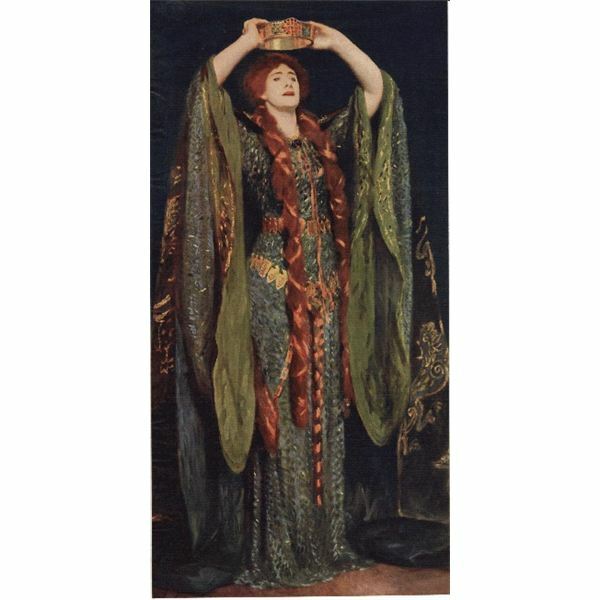 Lady Macbeth sleepwalks in act 5 and imagines she has bloody hands that she is unable to get clean. Her subconscious hand scrubbing is an outward manifestation of her inner guilt. Images of dead children appear frequently. The finger of a birth strangled babe makes its way into the witches’ cauldron. The apparition of a bloody baby comes out of the cauldron and prophesies to Macbeth. The fact that Macbeth is willing to murder children to retain his power indicates just how irredeemable he has become. The appearance of dead children symbolize the end of royal lineage and what happens when royal lines are extinguished. In order to comprehend the eight kings, one must understand for whom the play was written. King James was one of Shakespeare’s main patrons and Shakespeare sought to honor him in Macbeth. Eight kings appear to Macbeth in a vision from the witches’ cauldron followed by a mirror reflecting more kings. One of the kings is holding two orbs and is a symbolic representation of King James I who held two orbs on his coronation day and who was also a descendant of the real life Banquo. The Equivocator at the Gate and equivocation in general is an allusion to Jesuit Henry Garnett who counseled Catholics to give equivocations in all their answers to Protestant inquisitors. Equivocation in Macbeth symbolizes self deception. Macbeth equivocates while justifying the murder of Duncan and the witches equivocate during their prophecies to Macbeth. Unnatural meteorlogical phenomena occur during the play’s various murders or unnatural goings-on. Examples include the raging storms on the night of Duncan’s murder and the thunder and lightning that accompanies the appearance of the three witches. The weather patterns symbolize political and social upheaval as well as the internal, moral upheaval of the play’s protagonist (The most famous example in Shakespeare’s plays of unnatural phenomena symbolizing political upheaval is the storm that rages in Rome the night before Julius Caesar’s assasination in The Tragedy of Julius Caesar). 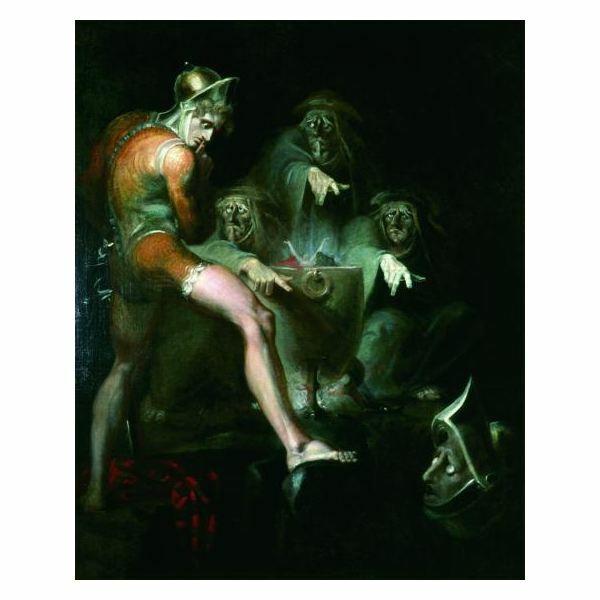 The intervention of the supernatural is a common motif in Shakespeare’s plays. Macbeth provides the most obvious example. An understanding of the witches and witch symbolism leads to a better understanding of the play. The witches symbolize the following: (1) They symbolize the darkness and depravity of the human soul, the part of the soul that bends itself toward evil and darkness; (2) The witches influence the external forces that tempt humans; (3) More specifically, the witches symbolize the darkness that resides in Macbeth’s heart; (4) The witches are an outward manifestation of Macbeth’s wickedness and the horrible acts he commits. Find More Shakespeare Study Guides on Brighthub.com. Avoid the toil and trouble by preparing with this Macbeth Study Guide.